Let’s take a look at professional sports logos. More specifically, we will take NBA, NFL, NHL and MLB team logos and grade them by scalability, strength, creativity, ability to fit in a square shape, ability to be produced in different media and relevance. While having an impact at larger scales, it is also important for the logo to not break down at smaller ones. 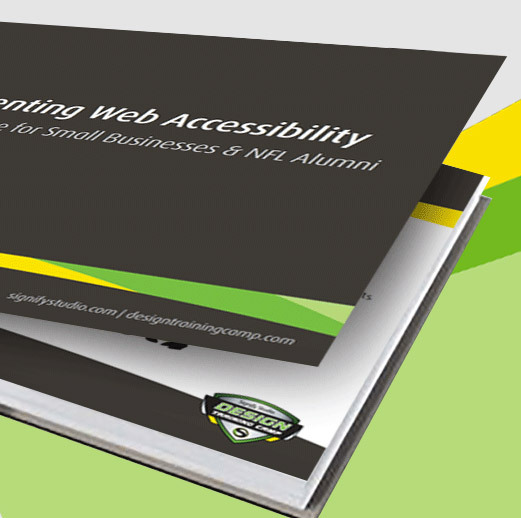 Many media outlets and website navigations use small logos as a means of navigation or identification. Logos with too much detail may be deducted points if they become less recognizable or begin to break down at smaller scales. The strength of the logo may be obtained by simplification and easy recognition, as well as strong visual imagery or a competitive spirit. Strong sports logos may gain a unique and memorable experience by adding multiple meaning into one mark. Sometimes they may be done with the use of positive and negative space, use of shapes or other techniques. Practicality is the ability to fit in a square shape and to be produced in different media. Some sports logos may extend outward and take on the shape of a rectangle. When the logo is scaled down or used with other teams, it will have less impact in comparison and may be much smaller horizontally or vertically. Points are awarded for logos which fill more of the square shape. Complexity can at times hinder the ability for a logo to be reproduced in different media such as screen printing, embroidering or one and two color jobs. Practicality should be considered in the early stages of development. Sports logos will be awarded points for the ability to appropriately represent the sub-culture of the team and or city and any historical/cultural impact. The Tampa Bay Lightning’s logo is successful not only because of its simplicity in color and shape, but also because it scales in size nicely and fits within a square shape. The use of just one single bold color creates strong contrast against the white. And, because of the thickness of the lines in the white shape, this sports logo makes good use of positive and negative space. The iconic symbol ties nicely in with the name of the team, and the illustration is able to be reproduced in different sizes across different media. The Hartford Whalers logo is quite clever. In the white negative space, you can see the letter H for Hartford. Then, just below, you can see the W for Whalers in the green. This sports logo fits overall within a square shape and works well when scaled both up and down. By using just two colors, the palette remains bold and works well on a variety of media. The illustration of the fin ties in the team name in a simplistic manner and conveys a sense of team pride through its imagery. 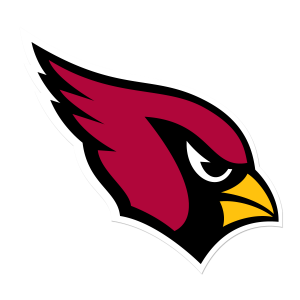 While the Arizona Cardinals logo does not fill a square space quite as well, it has a number of other strengths. It works well when being scaled. When its size is both increased and decreased, the strokes in its lines are still clearly visible. It has strength in both color and in motion. Notice how the lines in the feathers guide your eye and create a sense of flow from left to right. The team logo for the Minnesota Wild also does not quite fit into square as well, but it is nonetheless creative and clever. The imagery of the wilderness simultaneously takes on the shape of a wolf’s face. The river in the wilderness is also the mouth of the wolf. However, one thing to be concerned about when it comes to scalability, is that there are small details that may not be as clearly visible when this sports logo is decreased in size. The Milwaukee Brewers logo works well in a square and has both a clever and memorable arrangement of type. Notice how the lowercase M and the B make up the parts of the baseball glove. While the thickness of the lines is a little off, this sports logo still scales in size well and has a bold dual-color appearance using contrasting colors. The L.A. Rams logo does not fully fit into the square shape, but this sports logo still scales well and has a memorable appearance. With its sophisticated color scheme, it shows motion through its use of line and impact through its shapes. The New Jersey Devils logo works well within a square shape. Its symbol is quite clever as the J represents a devil. The illustration is abstract and original, but scalability may be an issue because of the thin outline surrounding the type. The logo for the Calgary Flames works well within the square shape and also scales well. It is strong because of its simple, yet bold color palette color. The logo makes nice use of positive and negative space through its use of shape and also ties in with the team name in a simplified way. This logo has the ability to be produced for different media and is quite symbolic through the flames. This sports logo is very memorable. 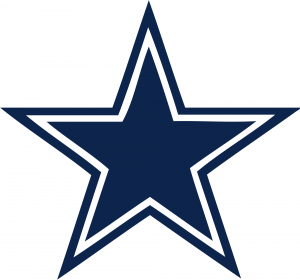 The Dallas Cowboys logo is also memorable and has the ability to be produced for different media and at different sizes. The star fits in a square shape, but note how some of the thin lines can get lost as the logo scales down in size. The logo is strong because of its bold use of just a single color and how it ties in with the team name in a simplistic manner. This sports logo has the ability to be easily produced for different media. The logo for the Houston Texans represents cattle in Texas along with the state’s flag colors. The sports logo is meaningful and creates a sense of pride. The negative space creates a lasso, which is clever. The logo makes nice use of positive and negative space. While it does not maintain a square shape quite as well, the logo still scales nicely and makes a strong impact through its elements. The Charlotte Bobcats design does not fit into the square and does not have enough contrast between its colors. This design feels dull, rather than energetic and vibrant. Perhaps most importantly, the illustration does not look like a bobcat. Using a side profile on the animal is strange and makes the animal difficult to recognize. The small text for Charlotte gets lost because of the orange shape acting as a focal point and attracting attention away from the type. 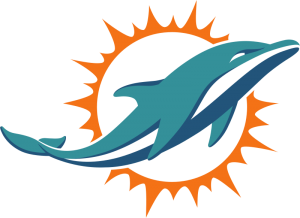 The Miami Dolphins design does not fit well into a square with the dolphin’s tail and mouth. In a series of icons, it would need to be set at a smaller size to fit in with a batch of other logos. The iconic imagery represents Miami well, but the design encompasses too much negative space. All of the white space makes this logo lose its strength. When scaled down in size, this sports logo may have reproduction issues because parts of the dolphin, like the eye, would be hard to see and print. The L.A. Lakers logo could use improvement. The design is unoriginal and uninspiring. It consists of small intricate parts, like thin lines on both the basketball and type. These thin lines break down at smaller sizes. This sports logo does not create the impact it needs. While the goal of the lines is to create movement, this movement feels weak. The Winnepeg Jets’ logo is uninspiring and does not contain enough impact. The colors in this logo are similar in tone and overlap each other. This sports logo does not have visual impact. It lacks energy and excitement. While the logo for the Miami Marlins pays tribute to Miami’s Art-Deco roots, it appears busy from having too many colors. The outline and angles almost give this logo a bevel and drop shadow effect. Due to the complexity of this logo, it missed the mark with the Marlins theme and loses its relevance. This sports logo seems inappropriate for a professional sports team. The logo for the Brooklyn Nets is completely uninspiring and does not represent the borough of Brooklyn. This logo doesn’t tell the story of its background or say anything about the team name. It does not feel relevant or create a sense of pride. The thin lines in the logo break down in scale. This is a sports logo with much potential, but is just plain awful. 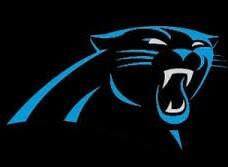 The logo for the Carolina Panthers falls short on design because its detail breaks down at smaller scale. The positive and negative space is not used well and it does not fit into a square. It would be difficult to print this sports logo on different media. 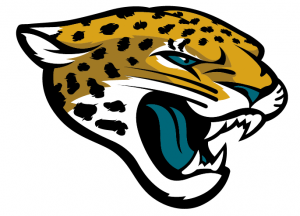 The Jacksonville Jaguars logo breaks down at scale and does not use positive and negative space well. Not only does this logo not fit within a square shape, it would be difficult to print this design on different media. It looks like a cartoon, but has too much detail. Therefore, it’s confusing whether this sports logo is aiming for realism or not. It’s hard to take this design seriously because it does not look impactful or intimidating. 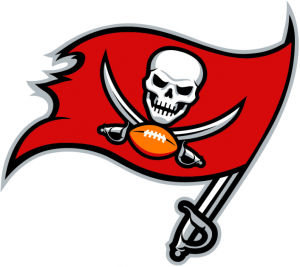 Although the Tampa Bay Buccaneers logo represents the city well, it needs to be simplified. It’s a great symbol, but complex. It has many small intricate parts that are hard to scale down in size. While it works well at a large scale, it breaks down when smaller. It does not work across media because of the amount of detail. By removing some of the detail, this logo’s design could be far more successful. The design for the Dallas Mavericks does not use positive and negative space well and does not establish a clear focal point. In addition to having too many intricate parts, the type is illegible. The kerning for the Mavericks type is too tight and the type is too small for Dallas. The reader cannot readily make out what the illustration is. Scalability is an issue, along with reproduction. The sports logo would not work well at smaller sizes because of its complexity and readability. The logo for the Boston Celtics fills the square shape nicely, but there are far too many intricate parts and lots of detail in this sports logo. This logo need to be modernized and simplified. While this logo carries personality, it’s hard to find the main focal area of this logo, and a number of elements compete for attention. The logo for the Washington Redskins is in need of an update because of its racist undertones. This is a huge issue and it’s both surprising and unfortunate that this logo is still being used. The yellow feathers affect this logo’s ability to fit within the square shape. These feathers are also duplicated on both the interior and exterior elements. It has an older style of illustration and does not feel modernized. In terms of scalability, its smaller elements break down at smaller sizes. As you can see, there are many elements to consider when creating a successful, creative, practical – and memorable – logo. If you’d like to get top marks in all these areas with your new or revised logo, contact Signify Studio for a FREE logo and branding needs assessment today! 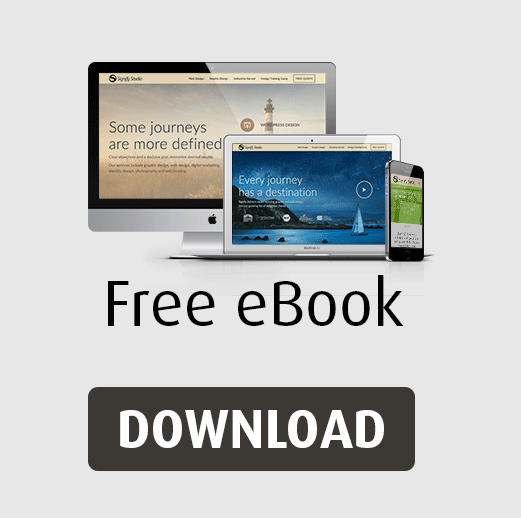 Develop your branding, identity & logo design with Signify Studio.